This past fall, Metro Detroit native Yoshi Flower released his debut full length American Raver and took off on the road with SG Lewis. Prior to that, you probably knew this artist as half of the duo Gosh Pith, that made quite the name for themselves in Detroit. Since those days, Josh Smith has left to Detroit, moved to California, and has been creating amazing music on his own under the moniker Yoshi Flower. Give his tunes a listen by hitting play on American Raver below. 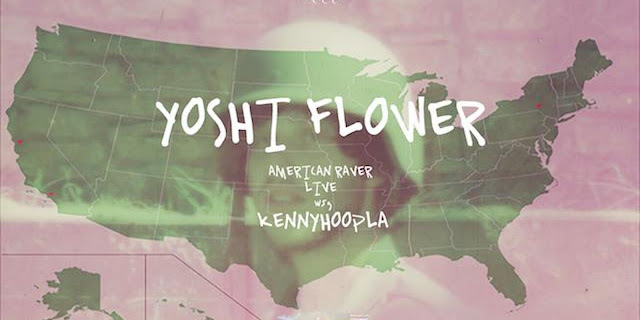 Yoshi Flower is out on the road now on a headlining tour in support of American Raver. He will be headed to Detroit this Thursday, February 7th to perform live at Deluxx Fluxx. Joining his for this show, is his tour mate KennyHoopla and Material Girl. Tickets to see this great show live are $10 and can be purchased in advance here. Thanks to our friends at Party Store Productions, you can also enter to win a pair of tickets to this show. To enter to win, send your name to hipindetroit@gmail.com with #yoshi in the subject line. We will draw one lucky winner on Thursday morning and will send them details on how to claim their prize. Doors for this show will open at 7 p.m. and 18+ are welcome. For more info, click here.